On Friday, the Walt Whitman Quarterly Review (WWQR) published a previously unknown book-length work “Manly Health and Training,” by Walt Whitman, recently discovered by Zachary Turpin. (Read more about it in a previous post.) 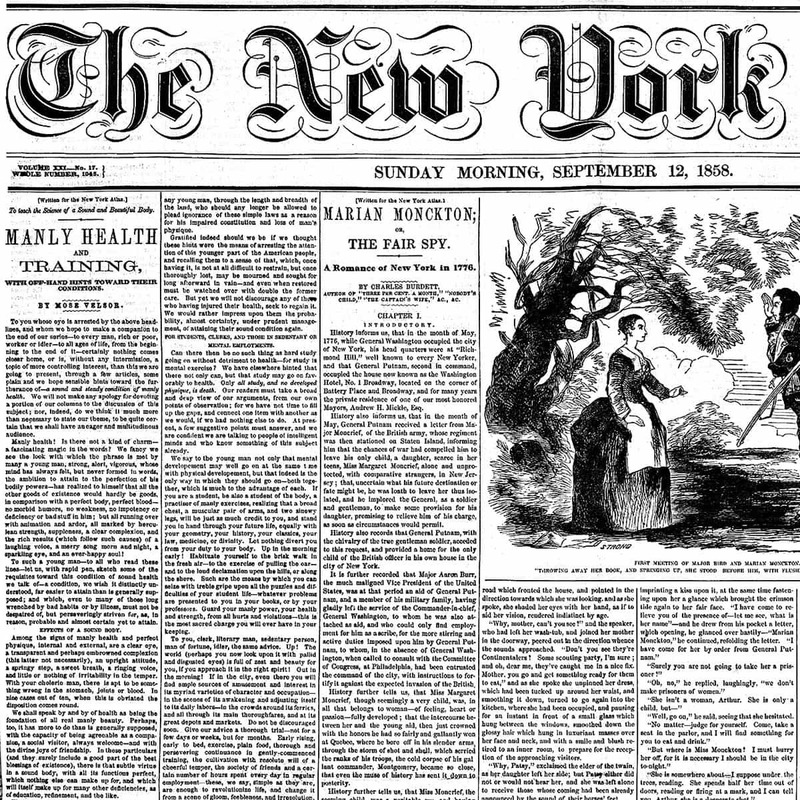 Minutes after it was published, The New York Times broke the story. (We couldn’t say anything until their story launched at about 10AM, and the editors carefully timed publication to be minutes before the announcement.) From that point forward, we watched as the downloads of the content climbed. And yes, for some of us, this included watching over the weekend because it was very exciting! The use was obviously high for the journal itself, but the use for our entire repository was massively spiked by this publication; over 91% of the traffic on our entire repository was for Walt Whitman Quarterly Review. This illustrates the typical use of our site from April 1–May 2WWQR. While the other items in the journal issue did not receive nearly as much use as the Whitman work and the introduction about the work, they received far more use than would be typical. Compare the first 3 days of use for a book review, bibliography, and back matter in this issue with similar items in the previous issue since being published. People all over the world downloaded this newly discovered Whitman work. The first image shows downloads of in Walt Whitman Quarterly Review vol 33 issue 3 during the first three days when “Manly Health and Training” was published. Most people who downloaded the content first went the journal or issue site (10,826 out of 18,234), so it is impossible to know what articles and posts resulted in the most downloads. The numbers below reflect the downloads that occurred when users were coming directly from another publication (i.e. a link to the PDF). I think these numbers are not included in the Google analytics counts because links directly to our PDFs do not appear in Google Analytics. Google Analytics shows us what sites directed traffic to our site, but do not indicate if people downloaded content. Historically, most of the downloads on our site come from Google (and other search engines). During this 3 day period, traffic to WWQR was largely from all the news sources that had articles. People arrived at the specific issue or the WWQR site as a whole largely from links on referring sites (15,191). Only 584 (of the 22,387 total sessions) came via a search engine. It is unclear where 6,480 sessions originated as the links appear to be direct. This could be links from email, it might be people who have turned tracking off, or it may be people typing in the URL directly. For more media coverage of the discovery and its publication, follow Stephanie Blalock on Twitter (@StephMBlalock), and for information about articles published in each new issue of WWQR, follow the journal (@WaltWhitmanQR) . As more news sources pick up on this, we will post updates about the usage. The first DH Salon for spring 2016 was about Iowa Research Online (IRO). IRO is not a DH specific tool; we use it to publish, archive, and freely disseminate output of the University community. It has been primarily used for textual scholarship and creative works, but it also includes audio, video and data. IRO includes faculty, graduate student, undergraduate, administrative and community content that meets the Libraries selection criteria and which we are able to post according to copyright. Although it is called Iowa “Research” Online, it includes creative works as well, such this dance video filmed in the Art Library. IRO also functions to archive University content essentially as part of University Archives (e.g. various Office of the Registrar reports). The Library has committed to maintaining content in IRO for the long term. Virtually all the content is freely accessible everywhere in the world, without anyone needing to login to access. The Library ensures the content has good metadata and that it can be easily found through Google and Google Scholar, as well as through more traditional library indexes and catalogs. For example, IRO content is in the SHARE database. IRO is very well indexed in Google and the majority of people find content in this manner. 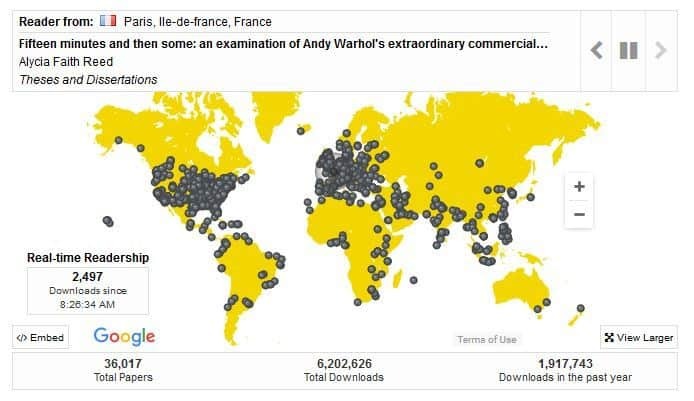 The use of content is worldwide (see map at the top) – even on a late Friday afternoon in Central Time we were seeing downloads! (Last summer Rob Shepherd made a great map showing the downloads by country, which was featured in a previous blog post). A download count is also visible when something has had more than 10 downloads. IRO includes articles published in open access journals for which the library has paid the author publishing charge (APC) for people without grant or other money to cover this charge. Such publications are more common in the sciences than in the humanities/social sciences, but please keep this option in mind for future articles. The Library will also use the fund to cover some of the costs of an open access monograph. Our guide has additional information. Note that APCs are one form of gold OA, but freely available journals with no charges to read or for the authors to publish is another model which IRO supports. 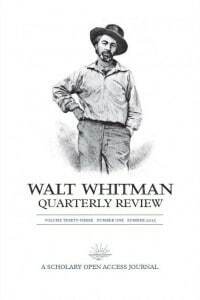 For example, Walt Whitman Quarterly Review is a peer reviewed, gold OA title, with no charges for the authors or readers. IRO also includes journals with back content freely available (e.g. Iowa Review) or can serve as a permanent archive for content that is already freely available (e.g. 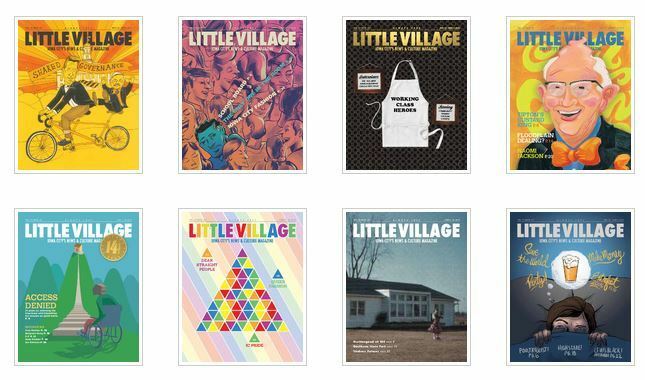 Little Village). We also publish an undergraduate journal (Iowa Historical Review). All non-MFA theses and dissertations submitted from fall 2009 required by the Graduate College to go into IRO, after an optional embargo period has ended. Currently theses and dissertations are all PDFs, but some theses do include supplemental content, expanding the traditional thesis. The Graduate College is working with various groups to allow more variety in what is submitted (and housed in IRO). IRO also serves as an archive for oral histories from HistoryCorps. The official HistoryCorps site has more styling and personality, but the archive ensures we will be able to maintain the content of this public engagement project for the long term, even if the look and feel of the current site are not maintained. IRO includes selected undergraduate work as well, primarily original content created in innovative classes. For example, it includes an archive of twitter data (from back before people understood how useful Twitter was to see current events and before the Twitter API changed) The series includes student archives alongside the faculty member’s collections, some of which have receive thousands of downloads. 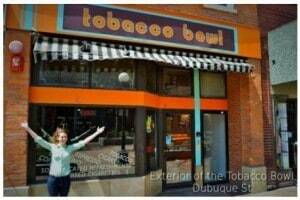 We have also archived student oral histories made as part of IDEAL’s Iowa Narratives Project. These items include an audio file, text and images and show that IRO can hold more complex content. I particularly like this series for how it captures Iowa City from a student perspective and includes people and businesses that are no longer here. We have a few books in IRO. These can display the cover and be downloadable by chapter. IRO includes conferences (paper, presentations, handouts and videos can all be included). This has allowed at least one conference to stop printing out large packets of handouts for each participant. Conferences can also have more formally published papers. We work with the UI Center for Conferences of directly with the organizers as needed. Smaller data sets, such as to supplement an article, are also included in IRO; it is not appropriate for very large files, but it is being used for data connected to business publications as well as for some linguistics data. IRO interoperates well with a separate product from the same vendor (bepress), called Selected Works (SW), which allows you to make a custom profile. You do not need to be part of the University of Iowa to have such a profile – you can keep it after you graduate and move to another institution. You can easily include IRO content on your SW profile. However, if you upload content to SW, it will NOT be archived by the University of Iowa. You can search for content across all customers that use the same software as IRO. Each page includes a link to the larger “commons”. The content is all full text, but it is also only from customers using the same software so it may or may not include major researchers in your field. Institutional repositories, like IRO, are distinct from Academia.edu, which, despite the edu domain, is a for profit site. Some publishers, such as Taylor & Francis, allow posting content in an institutional repository but not on a commercial site. 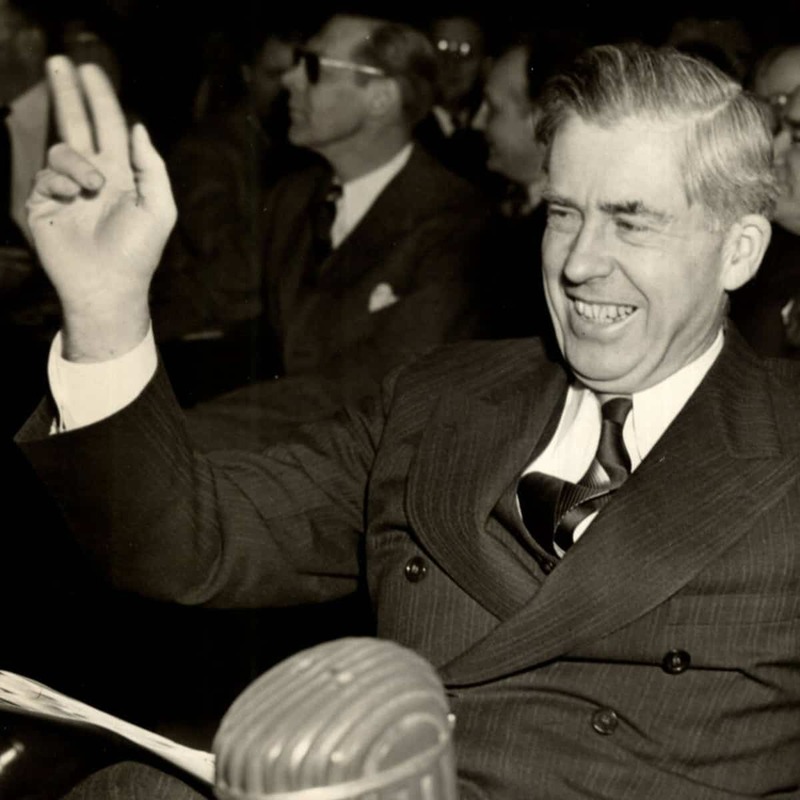 The University of Iowa Libraries has thousands of the personal papers of Iowa native Henry A. Wallace (1888-1965). Wallace, the 33rd vice president of the United States, died 50 years ago today (18 November 1965). Wallace also served as the Secretary of Agriculture and the Secretary of Commerce and was the nominee for the Progressive Party in the 1948 presidential election. His papers include information on the economic and agricultural consequences of the Great Depression, the role of the vice president during World War II, and the subsequent development of alternative political party structures as the nation and the world recovered from the conflict and new power dynamics were formed. Along with papers in the Library of Congress and the Franklin D. Roosevelt Library, our Wallace papers were microfilmed many years ago. Our collection was later digitized and it is freely available online to any researcher. Our digital collection has approximately 67,000 page images in it, making it a rich source of material for a historian or a history class. The collection also includes four reels of correspondence from Wallace’s father, Henry Wallace (1836-1916), the founder of Wallaces’ Farmer. The collection also includes more than 350 photographs. Many of the images are from Siberia and China in 1944. The UI Libraries prepared a joint index to the three microfilm collections. 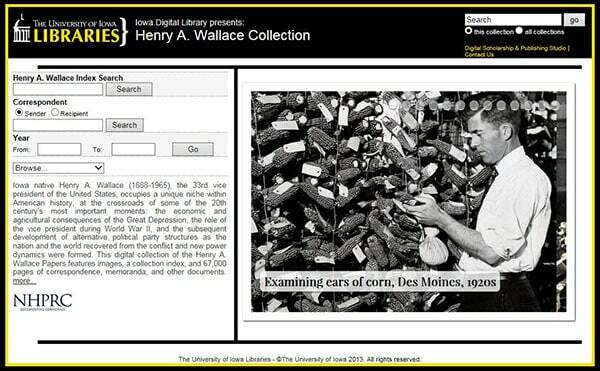 This index is now a searchable database, with entries for items in Iowa’s collection linking directly to the digitized version. When users start typing in the correspondent search box, names will appear, showing the number of results for each name, based on sender or recipient. Select the name you want and press search. The resulting list includes everything to or from the individual selected. The film numbers for the Iowa microfilm link directly to the digitized version. The results display in date order. Columns can re-sort by sender, recipient or film number. You can also search by year or by multiple years. If interested in a specific date, try the general search box, formatting the date with the year first, e.g. 1945-04-12. This top search box also allows you to search by first name or by a last name to get correspondence for everyone with that last name. 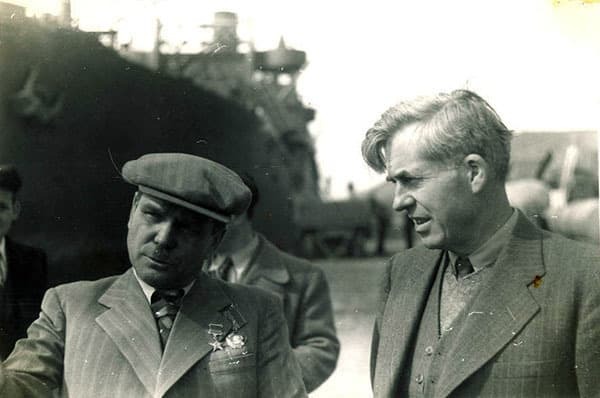 For more information, see the Guide to the Henry A. Wallace Papers and the Guide to the Henry Wallace Papers. 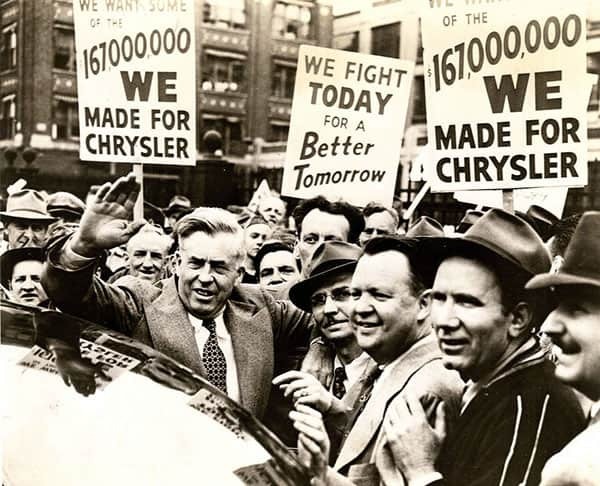 The Henry C. Wallace Papers are not included in this digital collection, but the Guide provides details on this print collection. Last year, we looked at use of our digitized theses. We decided that a bit more than a year had passed so it was time to look at these items again. The collection has grown modestly to 258 theses and dissertations. These PDFs have been downloaded almost 55,000 times total (an average of 213.2 times each), from 12 November 2009 (when we first posted a digitized thesis) to 31 October 2015. On average, each digitized thesis is downloaded once every four days, an increase from last year. Our digitized theses date from 1886–2008, with the vast majority dating from 1912–1921. Each thesis or dissertation that has been downloaded at least ten times shows a count of downloads on the individual page in Iowa Research Online (IRO). This download count appears in all our collections in IRO. The following items, from a variety of disciplines, have been downloaded more than 1000 times each. These high use items are by graduates from as early as 1913 and to as recently as 2008. If you are interested in having your thesis digitized and added to our open access collection, please let us know by submitting this permission form (PDF). One of the things we do in the Digital Scholarship and Publishing Studio is support locally published journals. 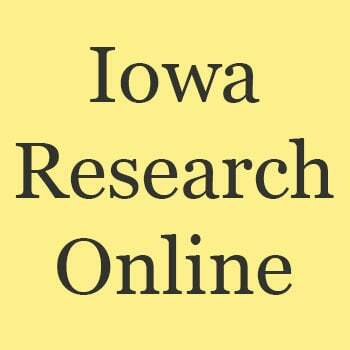 The journals which we publish/host are part of Iowa Research Online. During Open Access Week in October, there were several noteworthy additions/changes. With this inaugural number in our new format, we take an exciting step toward realizing Whitman’s dream of creating a truly democratic literature. For democratic literature to function effectively, he knew, all citizens needed access. Now the contents of every issue of WWQR are available to everyone worldwide who has access to the Web. As access to the Web continues to grow, access to WWQR grows with it. Paid subscriptions to WWQR are now a thing of the past: everyone who wants to read what we publish is a subscriber, and your subscription is free. Ed Folsom also wrote eloquently about the change in a recent blog post. We are so happy to have supported the journal through this transition of a print+online subscription journal to a fully open access title. The Iowa Review announces the launch of its free digital archive, ir.uiowa.edu/iowareview, containing full text of virtually all the writing published in the magazine from its founding in 1970 through 2011. The archive comprises 130 issues of the magazine and 5,752 individual poems, essays, and stories, searchable by volume, author name, and title. The site also includes links to the most frequently downloaded pieces, as well as a world map displaying real-time readership. Issues from the most recent three years continue to remain accessible only to subscribers, bookstore patrons, and those who order copies through the Iowa Review’s website, iowareview.org. Excerpts of work from recent issues also appear at iowareview.org. The Iowa Review partnered with the University of Iowa Libraries’ Iowa Research Online service, which preserves and provides open access to the UI’s scholarly and creative work, and the digital library JSTOR, which creates a digital archive of the magazine’s back issues. UI digital scholarship librarian Wendy Robertson developed the site’s data infrastructure and user interface. The Iowa Review is based in the Department of English, College of Liberal Arts & Sciences, University of Iowa. It publishes three print issues per year featuring poetry, fiction, creative nonfiction, and photography. Work from its pages is consistently selected to appear in such anthologies as Best American Essays, Best American Short Stories, Best American Poetry, The Pushcart Prize: Best of the Small Presses, and The PEN/O. Henry Prize Stories. More information about The Iowa Review, including how to subscribe, purchase individual issues, or find the current issue in a bookstore, can be found at iowareview.org. The archive can be accessed directly at ir.uiowa.edu/iowareview. We are thrilled that everyone in the world will be able to read the fiction, poetry, creative nonfiction and translations included in this well respected literary journal. Finally, we also published a new issue of the journal Dada/Surrealism, with the theme “From Dada to Infra-noir: Dada, Surrealism, and Romania.” As the articles are being published incrementally, a few articles are not yet posted, making this a soft release. The issue is so large that there are almost two dozen articles already posted! Dada/Surrealism was a print title from 1971–1990. In 2013, publication began again as an online only title. The journal is edited by Timothy Shipe, the Curator of the International Dada Archive. The University of Iowa Libraries celebrated Open Access Week Month in a variety of ways, including several guest blog posts from faculty on why they support open access. Of particularly note to us is that all the authors include Iowa Research Online as an important component of their open access. We are happy that our repository supports our faculty member’s publication and allows more people to benefit from their research. To include your content in Iowa Research Online, you can either click the “Submit Research” link in the sidebar or contact your subject specialist. Anything that is appropriate for your CV may be included in IRO. The publications in Iowa Research Online (IRO) are very widely used. From July 2014–June 2015, the items were downloaded more than 1.5 million times! This map shows the downloads of content from IRO during the last fiscal year. Adjust the map in the window below to see more countries. Move your cursor over the map to see the counts from each country. You can also see a large version of the map. If you want to include your scholarship in IRO to increase its global reach, contact you subject specialist at the University Libraries. We are very excited to have had 5 million downloads in Iowa Research Online! We had 4 million downloads in November, so this last million happened in only about 6 months. Some of this growth is attributable to the fantastic content added recently (such as the State Historical Society journal Annals of Iowa, back to 1863). While we don’t know exactly what download made us cross the 5 million mark, these items all received higher use around the time we made it to 5 million. Two years ago, the University Libraries and the Provost’s Office launched an Open Access Fund to pay the processing fees related to open access publishing. The fund is meant to encourage the University community to publish their research in open access platforms. 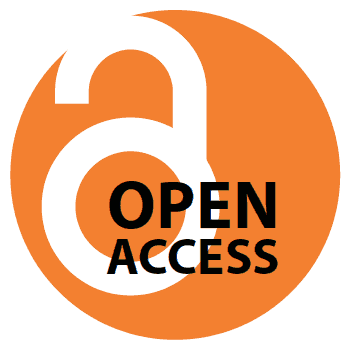 The open access publishing model allows free, immediate access to research and allows authors to retain intellectual property rights to their research. To recoup publishing costs, some open access journals charge article processing fees to make the work freely available online. More information about the fund can be found here. To date, 73 funded items have been funded, published and added to our institutional repository, with 10 published in 2015, 40 2014, and 23 in 2013. An additional 17 items have been approved and are awaiting publication. The author publishing charges for these 73 articles total $101,605.03, for an average cost of $1,391.85. 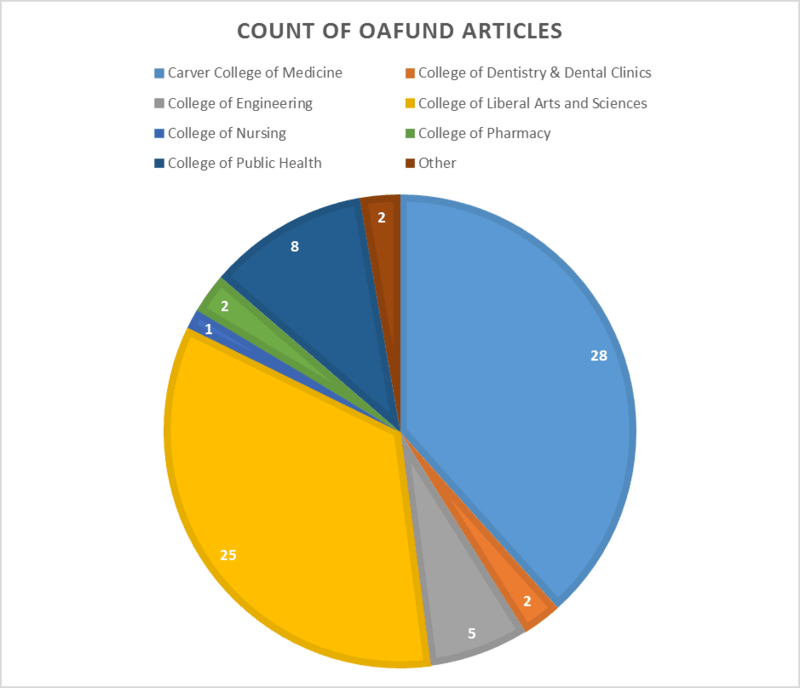 The articles come from a wide variety of colleges, with majority of articles having authors in the Carver College of Medicine and in the College of Liberal Arts & Sciences. 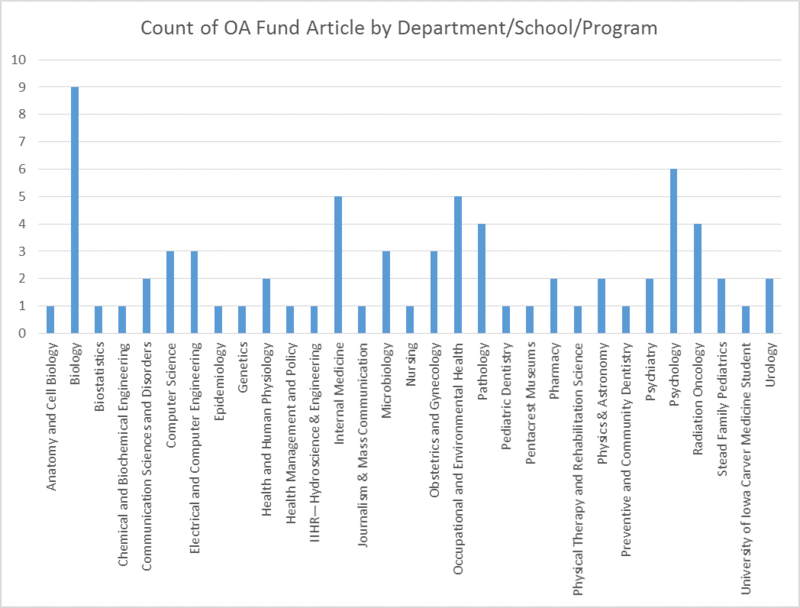 Open access journals which charge author fees are more common in the sciences. Our collection of articles is similarly heavy in the sciences. Most of the articles are in journals that are completely open access. A few are in hybrid journals. (If you have an item in a hybrid journal, you can may be able to post a version of the article in IRO without paying an additional fee. Contact your subject specialist for more information.) One article is available freely on the publisher’s site, but we cannot add it to our collection, in part because the publisher required that the authors give away their copyright of the article to the publisher as a condition of publication. We are very happy to have been able to support open scholarship at the University of Iowa with this fund. Here are some highlights from our digital collections for black history month. These three books are available as free PDFs online. They were published in the University of Iowa Press Singular Lives series. Born in 1913 in Collinsville, Illinois, Cecil Reed has lived all his life in the Midwest as a black man among whites. This self-styled fly in the buttermilk worked among whites with such skill and grace that they were barely aware of his existence—unless he wanted to get a bank loan or move into their neighborhood. Now, in his lively and optimistic autobiography, he speaks of his resilience throughout a life spent working peacefully but passionately for equality. This captivating and illuminating book is a memoir of a young black man moving from rural Georgia to life as a student and teacher in the Ivy League as well as a history of the changes in American education that developed in response to the civil rights movement, the war in Vietnam, and affirmative action. Born in 1950, Horace Porter starts out in rural Georgia in a house that has neither electricity nor running water. In 1968, he leaves his home in Columbus, Georgia—thanks to an academic scholarship to Amherst College—and lands in an upper-class, mainly white world. Focusing on such experiences in his American education, Porter’s story is both unique and representative of his time. The Making of a Black Scholar is structured around schools. Porter attends Georgia’s segregated black schools until he enters the privileged world of Amherst College. He graduates (spending one semester at Morehouse College) and moves on to graduate study at Yale. He starts his teaching career at Detroit’s Wayne State University and spends the 1980s at Dartmouth College and the 1990s at Stanford University. Porter writes about working to establish the first black studies program at Amherst, the challenges of graduate study at Yale, the infamous Dartmouth Review, and his meetings with such writers and scholars as Ralph Ellison, Tillie Olsen, James Baldwin, and Henry Louis Gates, Jr. He ends by reflecting on an unforeseen move to the University of Iowa, which he ties into a return to the values of his childhood on a Georgia farm. In his success and the fulfillment of his academic aspirations, Porter represents an era, a generation, of possibility and achievement. Philip Hubbard’s life story begins in 1921 in Macon, a county seat in the Bible Belt of north central Missouri, whose history as a former slave state permeated the culture of his childhood. When he was four his mother moved her family 140 miles north to Des Moines in search of the greater educational opportunity that Iowa offered African American students. In this recounting of the effects of that journey on the rest of his life, Phil Hubbard merges his private and public life and career into an affectionate, powerful, and important story. Hubbard graduated from the University of Iowa with a degree in electrical engineering in 1946; by 1954 he had received his Ph.D. in hydraulics. The College of Engineering extended a warm academic welcome, but nonacademic matters were totally different: Hubbard was ineligible for the housing and other amenities offered to white students. Intelligent, patient, keenly aware of discrimination yet willing to work from within the university system, he advanced from student to teacher to administrator, retiring in 1991 after decades of leadership in the classroom and the conference room. Hubbard’s major accomplishments included policies that focused on human rights; these policies transformed the makeup of students, faculty, and staff by seeking to eliminate discrimination based on race, religion, or other nonacademic factors and by substituting affirmative action for the traditional old-boy methods of selecting faculty and administrators. At the same time that he was advancing the cause of human rights and cultural diversity in education, his family was growing and thriving, and his descriptions of home life reveal one source of his strength and inspiration. The decades that Hubbard covers were vital in the evolution of the nation and its educational institutions. His dedication to the agenda of public higher education has always been matched by his sensitivity to the negative effects of discrimination and his gentle perseverance toward his goals of inclusion, acceptance, and fairness. His vivid personal and institutional story will prove valuable at this critical juncture in America’s racial history. Proudly powered by WordPress | Theme: Zoia by Automattic.